Health workers and first responders hoped Texas might be awarded $1 million to buy an anti-overdose drug, but state officials never submitted the grant application. The Texas Department of State Health Services hired an outside grant writer to begin drafting a proposal, which was due at the end of the month. As the deadline drew closer, outside researchers and public health workers were brought in to help. 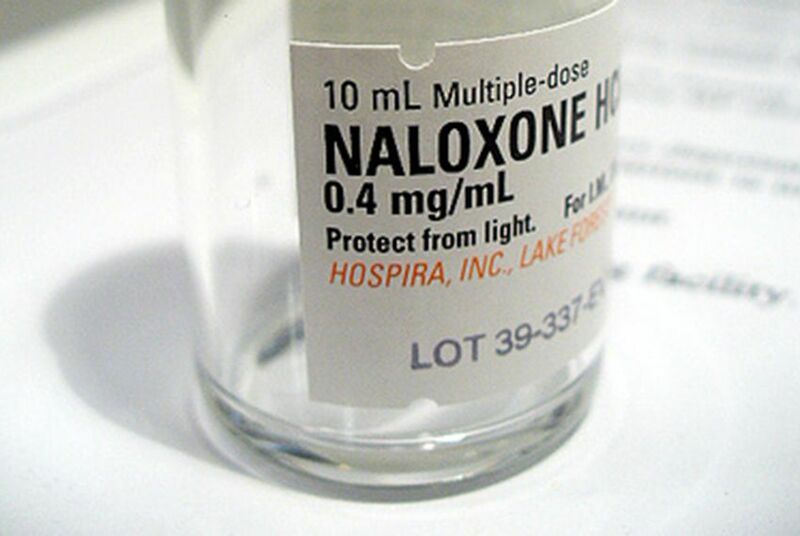 If the grant was approved, community health workers and first responders hoped to have the Naloxone on hand by year’s end, courtesy of funding by the Obama administration. But state officials never submitted the application. Researchers and advocates who contributed to the grant process said they were surprised to learn their work was for naught. They said state officials never offered them an explanation for why the grant was not pursued. Now, the public health agency is going to unusual lengths to keep the public from seeing government records related to the grant. In response to a public information request filed by The Texas Tribune, the Texas Attorney General’s office told the health agency in September that records about the aborted grant application are public under Texas law. The agency responded by filing a lawsuit last month against the attorney general's office in an effort to keep the records secret. A spokesman for the Department of State Health Services said the agency’s lawsuit was merited because unfinished drafts are exempt from open records law. State officials withheld the application, he said, because grant writers had simply failed to meet the deadline. That contradicted multiple accounts from researchers with knowledge of the grant application, who said their work was complete but not approved by state leadership. Maxwell said that while federal funding is never guaranteed — of the 31 states that applied for funding, 12 received grants, according to the Obama administration — she believed Texas’ application was strong. “Unfortunately, it just has to do with the politics in the Capitol,” she said. “We never got a solid explanation,” said Marc Fleming, a University of Houston professor of pharmaceutical health outcomes, who worked on the grant. Charles Thibodeaux, an Austin-based advocate for the Texas Overdose Naloxone Initiative, which contributed to the grant and would have received funding for Naloxone distribution, said he believed Texas leaders were uncomfortable with the proposal because they did not want to appear “soft” on drugs. Maureen Nichols, the grant writer whose firm, Shanti Consulting, was paid $4,000 for its work, did not return phone calls seeking comment. In June, under open records law, the Tribune requested draft materials and emails related to the Naloxone grant. The health department sought permission from the state's attorney general to keep the records confidential. When the attorney general’s office ruled that the public had a right to see some of those documents, the health agency filed a lawsuit over the decision. The agency has a funds coordination branch staffed with employees who keep their eyes peeled for grant opportunities the state might have an interest in, which is probably what happened in this case, Van Deusen said. But before grant applications are submitted, an assistant commissioner at the agency must sign off. From there, the application moves to the Health and Human Services Commission, a parent agency, whose federal funds manager must give approval. Carrie Williams, a spokeswoman for the commission, said no one had directed the Department of State Health Services not to apply for the funding. Advocates for greater access to Naloxone expressed disappointment with the state’s inaction. Shortly before the grant application was opened, federal health officials published new data detailing steady annual growth in the state’s rate of overdose deaths, while public health data from Texas Medicaid showed the number of babies born with opioid addiction and withdrawal symptoms — known as Neonatal Abstinence Syndrome, caused by maternal drug use while pregnant — was on track to reach an all-time high. A few weeks after the grant's deadline, a task force formed by the Department of State Health Services published a report detailing an alarming rise in the state’s maternal mortality rate. A leading cause, its authors wrote, was opioid abuse. "This finding is alarming and may represent an ongoing shift in maternal causes of death," the report said. "Indeed, prescription drug deaths are rising in the United States and have been identified as a major public health crisis." The task force recommended expanding women’s mental health and substance abuse treatment options. New efforts aim to reduce and track the opioid market, but the availability of illegal alternatives, insufficient treatment centers and poor prescribing habits threaten to perpetuate the crisis of opioid abuse. Since June, Texans are able to buy Naloxone without a prescription at any of 715 Walgreens pharmacies in the state. Disclosure: The University of Texas and University of Houston have been financial supporters of The Texas Tribune. A complete list of Tribune donors and sponsors can be viewed here.